Oureducation.in is one of the fastest growing educational website spanning every field of education. One can find all types of educational stuffs for almost all requirements in the educational fields. Oureducation.in has been able to create wave of success among the aspirants of different entrance and other examinations through its practice material and Online test platform. The online test platform provides a unique assessment system to analyse strong and weak areas with peer performance overview. Oureducation.in has a team of highly qualified individuals who support and mentor in the vision and mission of Oureducation.in. He had recently worked as the Head-Professional Services for Fidelity Global Solutions India Pvt. Ltd. 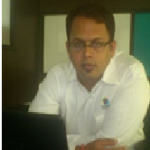 He is an expertise in field of Banking Domain, Project Management, Domain Training and other Consultancy Skills. He is having an experience of over 20 years and now he has joined us to use his experience in providing knowledge through us. He is having 18+ years of experience and that too in several prominent sectors. His core area of interest lies in the education field. Previously he was associated with many other organizations like he was a faculty of Business Communication in College of Management &Economic Studies, UPES-Dehradun. Also he was guest faculty of IED, Noida and IB-RAI, Ghaziabad. Having 13+ years of experience in the field of operations across BPO, KPO and LPO domain he has well established knowledge in those areas. He was awarded the Six Sigma Green Belt for satisfactorily driving improvements for the clients and integreon. Also twice he had successfully completed the Six Sigma projects. The last place where he was working was Wipro as Senior Manager of Operations. And now he has become the educationist contributor in our site to help the students. He is the youngest Vice Chancellor of University of India and also the Youngest Director of a Technical / Engineering institute. He has done his Pre Ph.D in Energy Studies from IIT Delhi. Now he is contributing in our site to help out students with their doubts and queries regarding his domain. 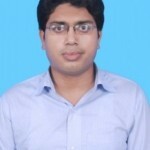 He has pursued his Ph.D degree from St. John´s College, Agra in Faculty of Commerce. In the tenure of his course he has done a major research on the strategic relationship between the World Bank and India. So for it he was awarded the degree in the Applied Business Economic Group. He is currently a lecturer in the college from where he had pursued his Ph.D degree and along with his own students he wants to provide his knowledge all over the world. So for that he has joined us as another educationist contributor. She is a highly capable and experienced administrative professional. She is having seven years of experience in the field of recruitment of peoples at all level. 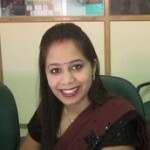 She has done her PGDBM from Symbiosis, Pune. She is a contributor in our site as a counselor for the students in helping them choose the right path for their bright career. He is a solution-oriented professional with notable success. 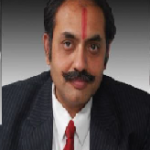 He had done his MBA from Amity University and was certified the Green Belt in ´Six Sigma´ from BSI, New Delhi. Currently he is associated with the Adobe Systems as Services Product Manager. And side by side he wants to help the students choose the correct path which would lead them towards their bright future. He is a teacher of Biology who is having an experience of 10 years in this field. Previously he was associated with Aakash Institute and Career Point as a faculty of Biology. And now he teaches Biology to the students of Vidyapeeth Academy. He has given his full life for the betterment of the students. He had done his MS in Mathematics from IIT Kharagpur and is having seven years of experience in this field. Earlier he had been working as a faculty in Bansal Classes and then he joined Vidyapeeth Academy to help the aspirants excel. 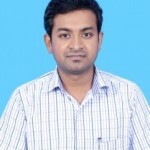 As an educationist, he also contributes for our site. He is having 5 years of experience in this field. He had done his MS in Physics from IIT Bombay. He has previously worked as the faculty in institutes like Vidymandir Classes, Mentors, etc. Here he is one of the faculties who have dedicated himself for the betterment of the aspirants so that they can have a bright future ahead. Also in addition to being a faculty of Vidyapeeth Academy, he is an educationist contributor of our site. He had done his MS in Physics from Fergusson College which is under the University of Pune and had ranked 3rd in the University. Earlier he had undergone technical training under Infosys, worked as a Project Assistant, at Materials Laboratory in the Department of Physics in his own college, and also as an E-Structor of Physics for C-eLT (Smartthinking), Pune. Currently he is working as Physics Professor in Meccademia, Dubai along with being a contributor to our site. He is an ex-faculty of some of the premier institutes like Vidya Mandir Classes and Resonance Classes and is currently working as a faculty in Vidyapeeth Academy. He had completed his MS in Chemistry from IIT Bombay. He tries to provide his best to the aspirants with his seven years of experience. He is also one of the directors of Vidyapeeth Academy and an educationist contributor of this site. He is currently the Director of Manufacturing / Production Manager in Noratel Power Engineering in Carson, California. He is having 33+ years of experience in this field. For his desire of spreading his knowledge throughout the country he has joined us to contribute as a counselor and help the students with their queries. He is having 10+ years of experience. He pursued his PG degree from Nagpur University in Business Management. 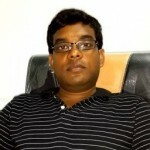 He has handled many projects and activities and he has become an expert in it. Now he wants to share his experience with the aspirants and give them the needed help through us. He is having 10 years of experience in the field of Sales and Marketing. He has done his masters from Shailesh J. Mehta School of Management, IIT Bombay. 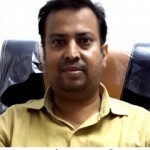 He is currently working as Senior Manager in Eduflai, Indirapuram. Side by side he also wants to helps the students get better knowledge and get to walk through right path. She is having an experience of more than 8 years in different Managements and currently she is working in Wipro as Deputy Manager of Operations. She had attained her PG Diploma in HRM from IMT, Ghaziabad and now she wants to use her experience and knowledge to help the students of her domain so that they can excel in their future. And for this reason she joined her hands with us. She has done her MBA from Symbiosis, Pune in marketing. She is having three years of experience in this field and currently she is working in Avenues Consultants as a consultant. She also had participated in many literacy related missions. She wants to help students from all over the world and so she became an educationist contributor of our website.